The UC Hopland Research & Extension Center is fortunate to get a few breeding pairs of Grasshopper Sparrow (Ammodramus savannarum) each spring and summer. This small sparrow can be difficult to spot because it spends so much time on the ground foraging for insects under the native grasses and duff. The males will perch atop of large rocks, bushes, and on fence wires to sing their insect-like buzzy song .... a sound that is reminiscent of certain grasshoppers ... hence their name. It sounds like a high-pitched tic tic zzzeeeeeeeeeeeeeeee. 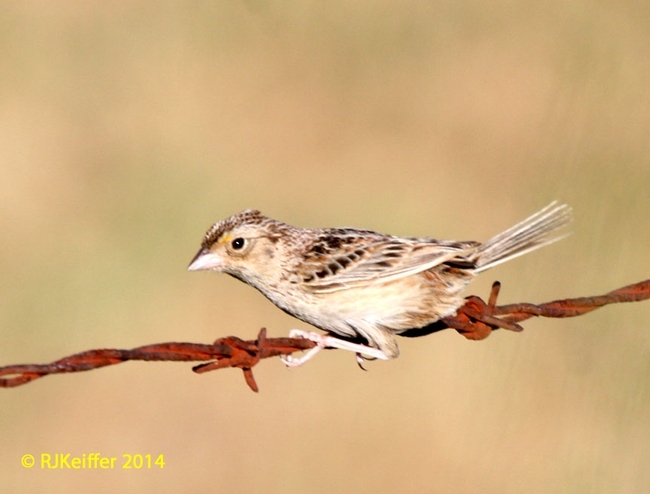 Grasshopper Sparrow is currently listed as a "California Species of Special Concern" by the California Dept. of Fish & Wildlife. 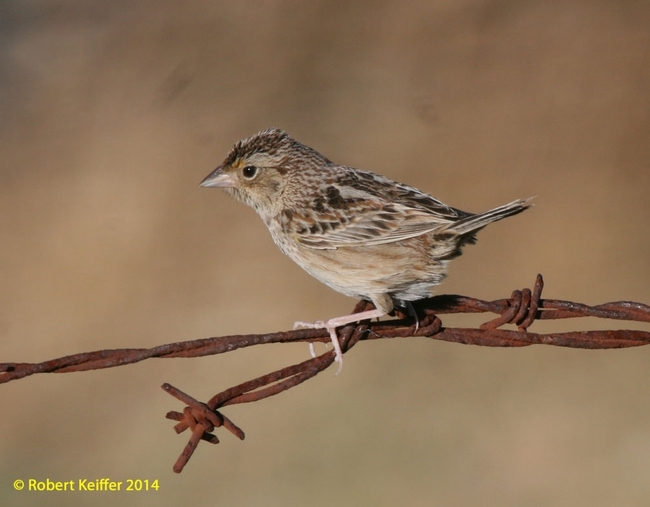 These sparrows once thrived in the extensive native grasslands of California, but they have become increasingly rare in the last few decades. The decline is due to the loss and fragmentation of native grassland habitat throughout the state. European annual grasses, early summer mowing, and intensive grazing have all reduced suitable nesting habitat for this species. Here at HREC, the few pairs that show up are usually associated with remaining patches of Purple Needle Grass (Stipa pulchra). They are secretive breeders, hiding their nest on the ground amongst dense grass/duff. They feed their young grasshoppers and other terrestrial insects.